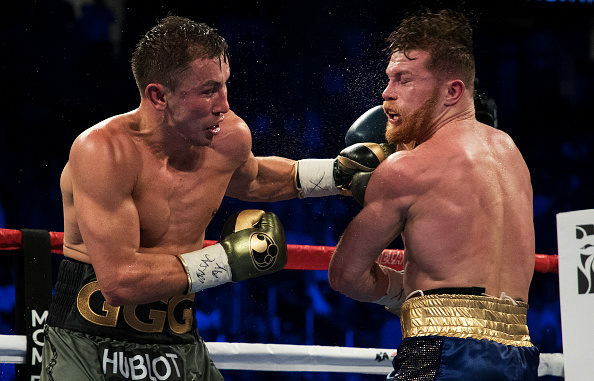 Almost a year ago WBA/WBC/IBO middleweight champion Gennady Golovkin retained his titles via a draw against Saul “Canelo” Alvarez at the T-Mobile Arena in Las Vegas. This weekend they’ll fight a rematch with the same titles at stake at the same venue. Most observers believe that Golovkin should’ve left the ring as the winner last September, but an exciting bout was overshadowed by Judge Adalaide Byrd’s 118-110 tabulation for Alvarez. It was a scorecard that was out of sync with how many saw the fight. And because of Byrd, Golovkin became a sympathetic figure in the aftermath without much critical analysis of his strategy. Golovkin, who is stylistically a swarmer-attacker, wasn’t as effective as he could’ve been, especially during the last three rounds against the counterpunching Alvarez. This past weekend there was a high-profile bout between a swarmer, Shawn Porter, and a counterpuncher, Danny Garcia. The interesting thing about that fight was that the attacker, Porter, was athletic enough to force Garcia, the counterpuncher, into doing a lot of leading—and just when Garcia would alter his style and push the fight, Porter pounced on him like a mountain lion lying in wait. That befuddled Garcia and forced him to fight against his strengths. What’s more, Porter changing up his attack wasn’t predicted; nor did anyone believe he could be successful fighting Garcia without bell-to-bell pressure; but he did, and he fought the most complete bout of his career. Two things stand out for Golovkin, 38-0-1 (33), going into this rematch with Alvarez. First, unlike Porter, he’s not athletic enough to change his style. He will have to be a more persistent and imaginative attacker this time. 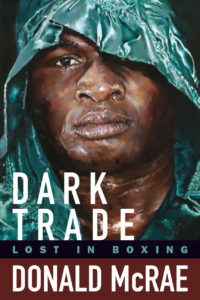 Second is the question of whether he can get the decision if the fight goes the distance and it’s remotely close. During the last fight, Golovkin had some big moments carrying the action, but he wasn’t consistent, and after every nice run he had, he seemed to get a little lazy and take a breather. It was during those lulls that Alvarez’s superior hand-speed came into play. There were numerous times during the bout in which Golovkin had Alvarez’s back to the ropes and—without Alvarez firing anything at him—Golovkin was slow and sporadic pulling the trigger. It’s one thing if he was being met with resistance, thus preventing him from getting off, but he wasn’t. And that’s the sign of a fighter approaching the wrong side of the hill. Adding to this conundrum, Golovkin seldom went to the body when Alvarez all but offered it to him. Why? This a sign of a fighter who’s not keen on risking the return-fire that’ll come back at him for having to lower his hands when digging to the ribs. Those two tendencies during the fight stood out and it’s hard to ignore them. We learned during the first encounter that Alvarez, 49-1-2 (34), has quicker hands and is more capable of fighting and countering freely on the move—whereas Golovkin can only hunt and pursue. As the last fight progressed we saw how Alvarez took more of the initiative, timing Golovkin and getting off first with jabs and combinations. This blunted Golovkin’s aggression just enough to the point where Alvarez was landing the more eye-catching shots during the last third of the bout. And that was a year ago; Golovkin is now thirty-six years old, and attackers normally hit their sell-by date long before their mid-thirties. Although it is possible that Golovkin can be better this time than he was last time, it’s not likely. Alvarez is the one who, at age twenty-eight, is more capable of tweaking his style and improving for the rematch. And now he knows he can take Golovkin’s Sunday punch, something he only thought he could do going into the first meeting. What is concerning about Alvarez is that he has twice tested positive for the PED Clenbuterol since the last fight. In the most recent pictures of him on social media, he looks thinner and less bulky. If he was aided by a banned substance last year, something that won’t be an issue this time, there are some questions about whether he can hold up and get a second wind. And that, sadly, has tainted the fight to an extent. For Golovkin to win without scoring a knockout, he’ll have to be better this time against a more confident Alvarez who will surely confront him with a few new wrinkles stylistically. Along with his being eight years younger, the odds favor Alvarez showing more improvement in the rematch. Perhaps the most important thing to consider regarding a big fight is the business side of prizefighting. Alvarez is the biggest draw in boxing since Floyd Mayweather retired. That could change overnight, however, if he loses to Golovkin. Because if Golovkin wins, Alvarez will be perceived as being 0-2 against “GGG” in the minds of many observers. That would make Alvarez winless in the three signature bouts of his career (Mayweather and Golovkin twice), and it would be hard to project him as a superstar fighter. Actually, rebranding him will be nearly impossible—even for his promoter Golden Boy Promotions. Also, if Golovkin wins this time it will mean no rubber match between them. On the other hand, if Alvarez wins a close decision, a third bout would be an easy sell and we’ll probably see it. Barring a cut, neither man can beat the other by stoppage, which means this fight will go the distance. How does Golovkin get the decision in what could be a closely contested bout if he couldn’t get it the last time against the superstar? Were Alvarez to lose the rematch, boxing would lose a star, and stars don’t come around very often. And that makes it difficult to envision Golovkin winning without stopping Alvarez—and Golovkin’s best chance to do that may have escaped him in the first fight.